(Reuters) – A Washington lobbying firm sued by a top fundraiser for U.S. President Donald Trump based on allegations it was involved in helping Qatar hack into the fundraiser’s emails said on Thursday that it has ended its advocacy for the Gulf state. Stonington Strategies, which had a $300,000 a month contract with Qatar to advocate for its interests, disclosed the decision in a tweet by its chief executive, Nicolas Muzin. The move comes two weeks after Elliott Broidy, a leading Republican fundraiser and ally of Trump, expanded a lawsuit against Stonington, Muzin and Qatar to add new defendants, including the brother of Qatar’s ruler. Broidy’s lawsuit claims that Qatar hacked his email accounts and shared the contents with news organizations in an effort to smear his reputation and hinder his ability to advocate for the United Arab Emirates, a chief rival of Qatar in the Gulf. A spokesman for the Qatari embassy, Jassim Mansour Jabr Al Thani, declined to comment. In a statement in March, Al Thani called Broidy’s allegations false and accused him of “nefarious activities” aimed at influencing U.S. foreign policy. 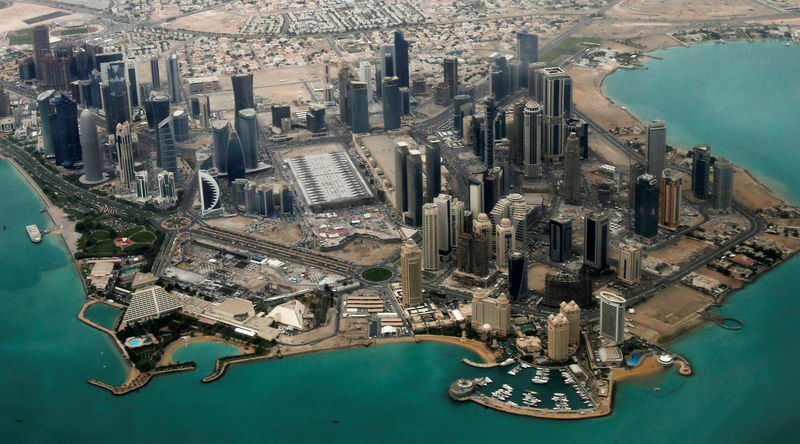 Stonington was one of more than a dozen lobbying firms hired by Qatar over the past year in a multi-million dollar campaign for influence in Washington following the economic boycott of Qatar by the UAE, Saudi Arabia, Egypt and Bahrain.